Last week the dollar benefitted from flights to safe haven, monetary policy divergence and rate hike speculations…nothing new just the usual. This fundamental picture was largely translated into the price of the dollar and was amplified by the ECB QE decision and the fear amongst upcoming general elections in Greece over the weekend. All these factors were bullish for the dollar which explains why the dollar index (DXY) performed by 2.5% from 92.66 to 94.97 between the weekly opening and closing breaking above 93.00 key resistance to peak at 95.48 before pulling back slightly. This week we might see a slight pullback due to profits taking in anticipation of the FOMC meeting due on Wednesday 28th of January. Nothing new is expected from Yellen, the big question will still be about the timing for a probable rate hike. In these conditions the market is always looking for changes in the rhetoric of the regulator. The last change we have noted to this regard was from “considerable time” to “being patient” which can be interpreted as a postpone of the rate hike compared to an initial schedule. 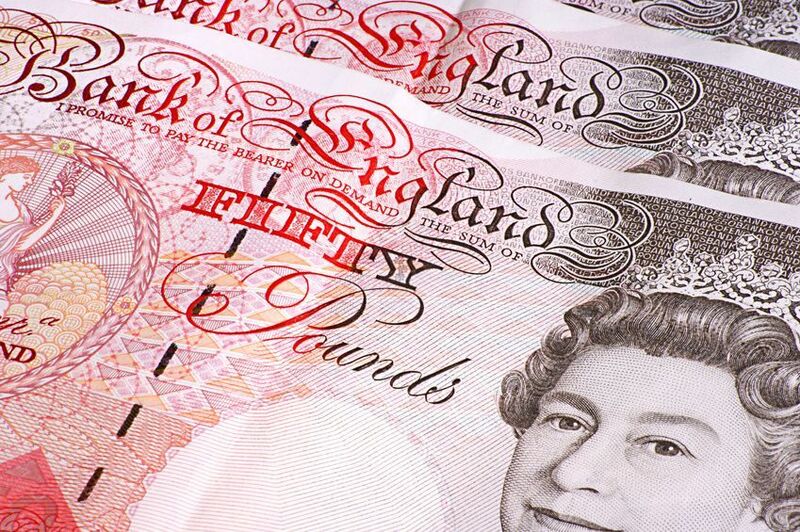 The single currency was the main focus for the forex traders last week. To the contrary of the SNB one week earlier, the ECB did not really surprise the market and delivered a significant QE. In brief this QE will consist of 60 billion euro monthly investment grade sovereign debt repurchase and the risk will be spread equally between the different National Central Banks. This debt repurchase program will start in March and should come to an end in September 2016 according to the ECB. This should shift the focus of market participants to the political environment of the euro zone, following the big win of the anti-austerity party Syriza over the weekend, next major election on the calendar will come from Italy and should weigh on the euro as the two main political parties are anti austerity. Following the election yesterday, we have seen the EUR/USD opening the week with a 50 pips bearish gap and touching an eleven years low of 1.1096 before pulling back as the market needs to digest the news. Given the recent development in euro zone, the massive quantitative easing and the upcoming elections in key European countries with an anti-euro tone we can expect the pair to head to parity over the next six months. The market is starting the week still shocked by the Black Swan event triggered by the SNB last week. In the matter of less than 20 minutes the CHF gained 30% after that the SNB announced to abandon the 1.20 floor against the euro. As a result, USD/CHF literally plunged to the abyss from 1.022 to a low of 0.7423, similar multiple big figures moves have been observed on other pairs quoted against CHF. 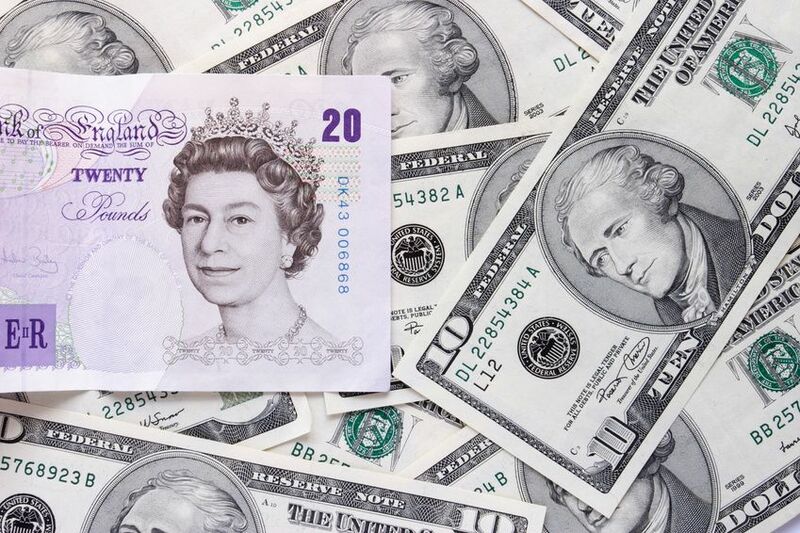 Across the board, the dollar remained rather resilient and keeps rising as it is more than ever seen as a safe haven currency and also because lifted by the divergent monetary policy from the Fed toward other major central banks like BoJ and ECB. The dollar index (DXY) spiked above 93.00 for a brief moment last week before pulling back on end of week profits taking. The DXY is mostly flat today as the US market will be closed for public holiday. Dollar traders will not only be focused on the ECB decision but also the BoJ monetary policy statement that is due on the night between Tuesday and Wednesday to have fresh hint about the direction of the USD/JPY which lost some steam lately in its strong bullish rally. The euro will be the centre of the attention this week or more precisely Mario Draghi and the ECB. In fact, the market expectations towards an upcoming massive Quantitative Easing to be announced by the ECB this Thursday are really significant. Some analysts still have a doubt on whether Draghi will deliver or not this week given the complexity that the ECB will encounter to implement the latest. Despite these questions, Draghi made it clear that he will deliver so the real question is more on the size of the package and how the market will react to this decision. From a technical prospective EUR/USD is bearish and could soon reach parity with the dollar in case the QE is successful and the Fed delivers rate hike as announced last year. EUR/USD is currently hovering below 1.1643 key resistance, the market should be relatively quiet until Thursday as traders’ attention is focused on the next ECB meeting outcome. The dollar was on fire again last week despite the many calls for pullback on the greenback. This trend is not healthy anymore, just like we have seen on US equities lately the American currency trade is clearly one sided. There are three main drivers to explain this vertical move, the first one is fundamental, the Fed’s prospect to hike the rates sooner or later this year, the second one is technical, the price is entering into a long term bullish cycle and the strength of the move speaks for itself; last but not least behavioural this trade is driven by speculators, the move is so strong that many bears must have burnt their account trying to play a pull back and now no one want to take the short side of the trade because of the fear to be wiped out quickly. This is as simple as that. The market is not questioning the figures, both NFP and unemployment rate are just taken as it is, the big players simply don’t care of the second reading of the figure that shows a dark picture of the job market and US economy in general. Not only the labour participation rate was at a 38 year low but the average hourly earnings plunged most in at least 8 years which suggest a clear degradation of the employment market. However, traders only focused on the fact that the released figures beat the expectations. The DXY is currently hovering close to its high for the year at 92.25. The single currency is still kept under pressure; last week we have seen the EUR/USD posting fresh low at 1.1753 before attempting to pull back a little to retest the 1.1872 long term resistance. Though the euro is currently way oversold, against most of its counterparties the prospective of an upcoming QE from the ECB prevents it from any possible and significant pullback. The current situation is being clearly problematic for the SNB with the EUR/CHF which is now back to pre-rate cut level at 1.2008. This week the economic calendar for the euro zone will be rather light regarding the number of key events. Forex traders willing to trade the euro will focus mostly on the CPI figures that will be delivered on Friday. At the end of last week, European Central Bank President Mario Draghi sent out his strongest signal yet that policymakers were ready to launch a wide-scale quantitative easing program to counter deflation. In an interview to German financial newspaper Handelsblatt, Draghi said the Governing Council was ready to act if needed to fight deflation. Draghi said the risk that the ECB does not “fulfil its mandate of price stability is now greater than it was six months ago” and he confirmed that policymakers “are in technical preparations to alter the size, speed and composition” of their measures at the start of 2015, “should this become necessary”. The euro dropped to its lowest in nine years at the start of the current week, as investors speculated the ECB were now close to announcing large-scale sovereign-bond purchases. Mounting concern over Greece also weighed on the shared currency as it embarks on yet another election campaign which Prime Minister Samaras said will determine the nation’s future within the euro zone. The election scheduled for January 25th could see the rise of the anti-austerity party Syriza to power. Syriza leader Alexis Tsipras said his party would put a stop to German-led austerity if they win the vote. Samaras, warned that an opposition victory would cause the nation to default and put an end to its membership in the euro zone. EUR/USD dropped to 1.1862, its lowest since 2006. 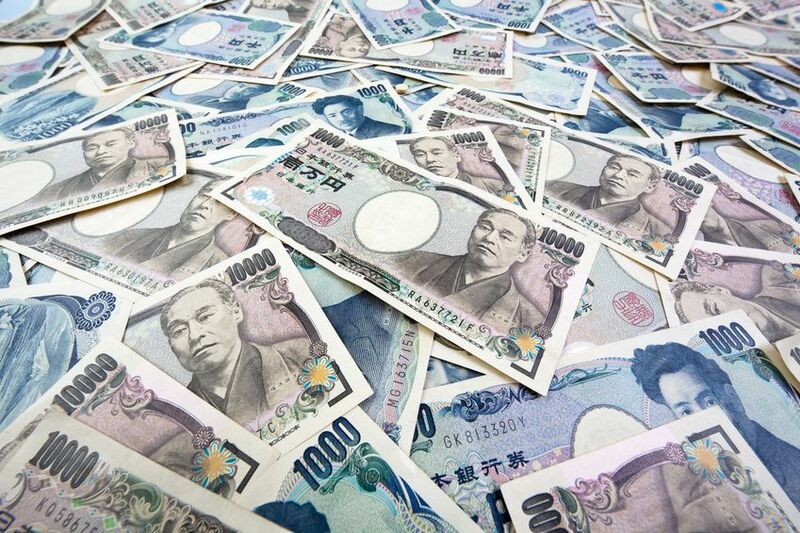 EUR/JPY fell to 142.99 from a high of 144.16. Despite the USD strength at the start of 2015 traders waiting for a USDJPY breakout were disappointed as the currency pair mostly held 120 levels trading between 119.80:120.73 so far in the first two trading days of 2015. The trend remains bullish for the USDJPY currency pair, but for the current week we’re expecting attempts higher to face significant resistance ahead of 122, in the 121.82 area. Support should hold price moves lower at 119.31/118.15. We remain bullish on the US Dollar in general and expect traders to continue buying the dips. The US Dollar index, currently trading at 91.70, could be aiming for 92.10/93.89 the next daily resistances - as long as the expectations for Fed rate hikes continue to factor in a rate hike around mid-2015. Ahead of us this week we have some high impact data from Europe and the US; we’re expecting EZ CPI Estimate to slip into contraction, BoE Asset Purchase Target and Rate Decision to remain unchanged while December US Unemployment rate is expected to have slipped to 5.7% and the Change in NFP to be in the 243k region. Last week’s correction on the dollar Index from high point of 89.55 to close the week at 88.32 is already being partly pared by a strong start of the Greenback today. This correction allowed the Yen to post its biggest weekly gain out of the last 16 months, USD/JPY pulled back to a weekly low of 117.43 reached on Friday before profits taking in anticipation of the elections in Japan. Technically speaking the dollar move looks like a simple correction in the current rally. Back to the fundamentals, this week traders will await the last Federal Reserve’s meeting of the year due this Wednesday. The Fed won’t be the only risk event for the USD this week, in fact key figures like the PMI and Housing Starts will be watched closely as well as the CPI before the event and after the FOMC rate decision, the continuing and initial jobless claims will be monitored closely, any miss or unexpected figures could trigger a spike of volatility on the greenback. EUR/USD gained strength last week after posting a weekly low of 1.2246 and tested the 1.2500 on Thursday but didn’t manage to climb above this key level which was seen as a major resistance by the market players. So far this resistance has held firm and the price is still hovering slightly below, however looking at the chart we see that the latest is currently under attack. So yes, the big picture is bearish but a pullback is not to be excluded before the start of a new leg down, in case of a firm close above the 1.2487 resistance line we could see the start of a strong leg up to 1.2800, the big question is to know whether this event can happen before the end of the year given that last weeks of the year are known to offer hectic market conditions due to the absence of big players on the market most of the time. Let’s see what this week will have to offer us, meeting the 1.20 end of year analysts’ target, triggering a leg up to 1.2800 or else choppy and hectic market environment with no clear direction. Looking at the dollar index chart (DXY) we can see that it has been literally on fire for the last weeks and a lot of contrarian speculators must have burnt their wings (account) playing a reversal. This time again, the fundamental background has proven to be stronger than any technical picture/driver. That said, calling for a reversal or at least a slight pullback would be audacious knowing the fundamental picture already mentioned in my previous articles as to know, the long term cycle turn on the greenback, the upcoming rate hike and obviously, the amplifier of the latest drivers; the strong monetary policy divergence with other major economies. However, this week let’s be audacious and call for slight correction on greenback, that’s the most audacious I can be given the recent upbeat on the NFP released last Friday with an impressive 314’000 private jobs addition for the month of November against an expected 225’000 addition and up from a previous revised 236’000 sending the DXY to a high of 89.55. The market can be strong, it is one thing but usually it never move in straight, so yes the trend is clearly bullish but I see two technical retests that are due, the most likely to happen would be a simple retest of the 30 periods exponential moving average where the latest bounced lately before resuming its strong rally and the second target which is less likely to happen would be found at 88.40 where the 200 periods hourly moving average lies at the moment I’m writing this article. EUR/USD is probably one of the most watched major currency pair at the moment, fundamentals pushed it at its lowest in two years, ECB and NFP risk events where clearly bearish and it touched a low at 1.2246 so far. Technically the pair is currently testing its 200 periods monthly moving average and though a break below is highly probable given the current fundamental background a bounce on it to 1.25 before year end makes perfect sense. I see two major risk events for the single currency this week, the first one will be result of the TLTRO due on Thursday and a disappointing participation would weigh on the euro translating into more action from the ECB beginning 2015. The second one would be a rate cut from the SNB in order to protect the 1.20 floor on the EUR/CHF thus boosting thus triggering a round of strong buying on the EUR/CHF and supporting the euro. Last week has been rhymed by many risk events the most watched events for the USD were obviously the US 3Q GDP figures and the much awaited (and not less expected) OPEC decision not to cut their oil output to support the current falling price. Last week has been rhymed by many risk events the most watched events for the USD were obviously the US 3Q GDP figures and the much awaited (and not less expected) OPEC decision not to cut their oil output to support the current falling price. The Dollar Index took a breather to bounce on its 20 day moving average on the 27th to end the week at the upper side of its current consolidation range between 87.46 and 88.11. The USD didn’t have the time to benefit from the unexpected upward revision of the Q3 US GDP as this data was followed by unexpectedly weak economic data the same afternoon. Indeed, later that day, the US published the fourth biggest drop on Chicago PMI figures since the Lehman bankruptcy (60.8 vs expected 63.00) followed by the biggest miss in the last 13 months of the University of Michigan. 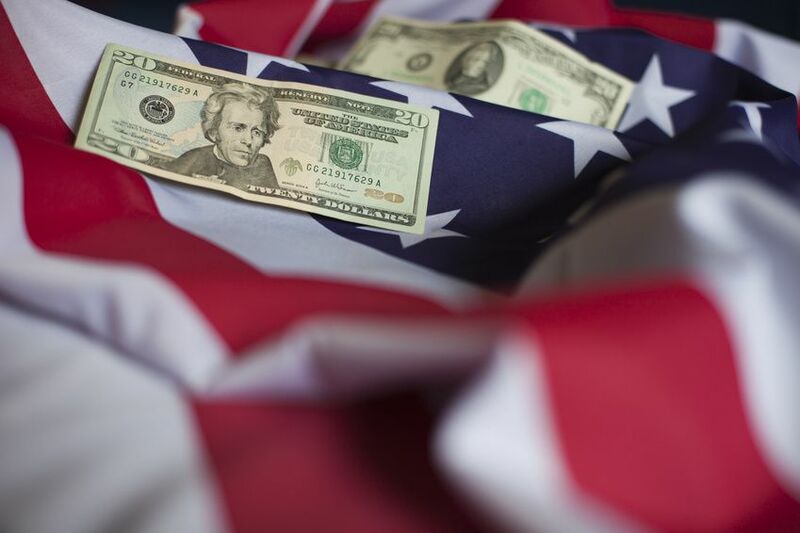 These pieces of news triggered a risk aversion move on the greenback, traders preferred to exit their dollar positions and stay on the side-lines right before the Thanksgiving holiday. The next strong market moving event of last week happened on Thursday with the OPEC meeting decision not to cut oil production to support the current falling oil prices. The biggest impact has been seen on USD/RUB which went parabolic and crossed above 50.00 but the USD also gained strongly against the CAD and the NOK. Despite Draghi and Weidman’s latest comments sounding really favourable to start a European style QE, the single currency is relatively strong and does not intend to trade lower than the yearly low of 1.2356 reached on the seventh of November. This week will be crucial for the euro, the pair is currently resilient and paring some losses but it reflects nothing than traders’ patience and expectations before the next ECB meeting due on Thursday. Last but not least, another key event due this week will be the release of the US NFP data on Friday afternoon. Both risk events have the potential to trigger a volatility boost on the most traded Forex pairs, the EUR/USD. At the time of writing, the pair is catching up firmly and made a brief passage above 1.2500 however more upside potential should be limited this week. Last week the Dollar Index marked a pause in its rally as traders took part of their profits and others decided to stay on the side lines in wait and see mode. Last week the Dollar Index marked a pause in its rally as traders took part of their profits and others decided to stay on the side lines in wait and see mode. Only the brave and patient who stayed in position with the trend were rewarded on Friday after that Draghi sent a clear signal to the market that reinforced the monetray policy divergence (between the Fed and ECB) trade. This market moving event occured on Friday and the DXY almost gained one percent over the session between the opening at 87.62 and the close at 88.28. 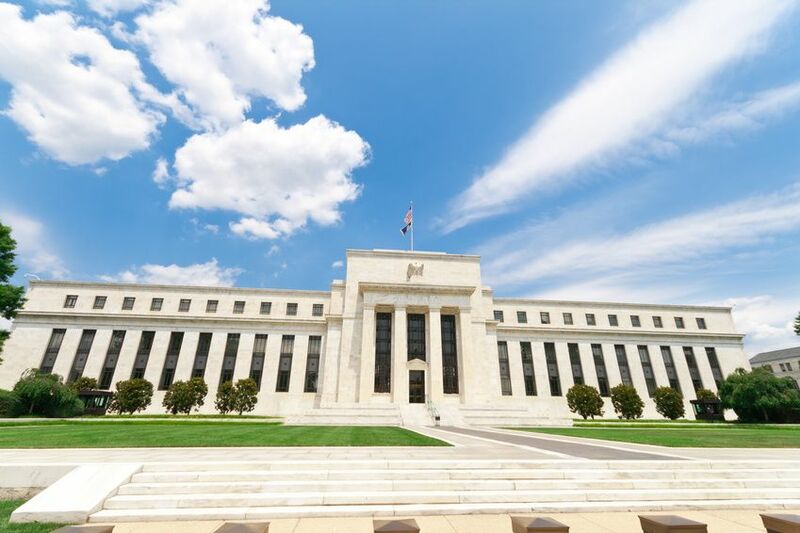 Although the long dollar trade appears to be crowded, we are only at the beginning of a major monetary policy shift; the Fed is now unwinding six years of Quantitative Easing program and is on the verge to hike the interests rates early in 2015. This marks the end of a 9 year bearish cycle on the dollar and the beginning of a bull cycle. Knowing that the dollar cycles last on average eight years we can infer that this trade has still room to move higher in line with the upcoming developments. The long dollar against a basket of emerging market currencies could be interesting for the coming weeks. The euro correction we’ve seen last week has been stopped suddenly on Friday with Draghi’s speech in which he reiterated his will to intervene to fight deflation and boost economic growth in the eurozone. His dovish comments were also reiterated by Jens Weidman the Bundesbank governor who made a speech after Mr. Draghi. This speech came in a form of approval for a possible European quantitative easing. The EUR/USD lost more than 1.5% in a sudden move over the session, from a high of 1.2567 to a low by 1.2373. The pair also opened the week with a bearish gap but the latest has been filled and the pair is now pulling back, helped by better than expected IFO numbers released this morning. However given the current tone of the ECB the pair remains a clear sell on rallies, ahead of the ECB interest rate decision and the following press conference due next week on Thursday 4th of December. Last week the USD rally lost some steam and closed the week mostly flat almost at the same level as the weekly opening. Despite a flat close, volatility was still present which offered quite a lot of interesting trading opportunities against its major counterparties. Last week the USD rally lost some steam and closed the week mostly flat almost at the same level as the weekly opening. Despite a flat close, volatility was still present which offered quite a lot of interesting trading opportunities against its major counterparties. 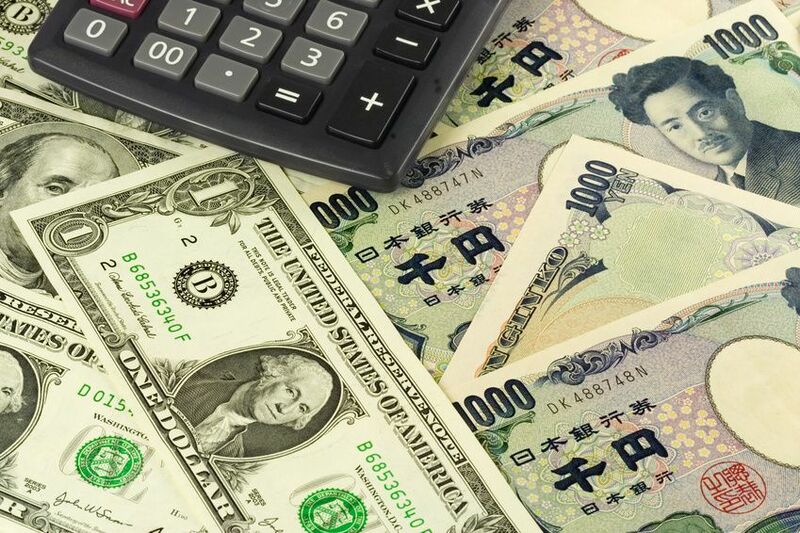 USD/JPY posted a new seven year high, while EUR/USD took this opportunity to continue its reversal on profit taking as the short trade was getting overcrowded. The big question that could arise this week is: Is it the start of a dollar correction? The fundamentals are quite clear on it; traders are playing a rate hike, this play is also backed by the US monetary policy divergence with many major central banks like the Bank of Japan and the European Central Bank to cite only two of them. From a technical point of view, though the DXY remained mostly range bound last week, it is still above the major resistance of 86.75 (which is now a support) and no retest of the latest have been seen so far. To conclude on our weekly view, this week opening is giving a clear bullish continuation signal, opening higher than last week close at 87.62 with a strong buying wick. Single currency short traders took some of their profits after a good bearish move against the buck and are now in wait and see mode before coming back in the trend. EUR/USD is now hovering around 1.2500 and according to the technical picture we are currently experiencing a reversal in the current downtrend. The pair broke back above the 1.2485 resistance and is currently retesting it, any confirmed bounce on it would confirm the polarity inversion and trigger a new leg up to 1.2600 – 1.2650 area where key resistances will be found. From a fundamental point of view, Draghi’s quarterly testimony held in Brussels this afternoon (Monday 17th of November) has the potential to be a game changer and will probably give direction for the rest of the week to the euro as neither the flash euro PMI nor the ZEW survey coming up later this week are expected to change the perception of the big picture which is nothing less than stagnant economy. Last week the dollar rally was looking for an excuse to take a breather and pull back, the strength of the rally is so strong that not even technical picture helps to trigger a reversal. Speculation around the dollar is really strong; therefore risk events just fragilize the trend. The pullback move triggered on Friday’s NFP miss was mostly just a good excuse for traders to take their profits and let the currency pullback, before buying the dip for another leg up until the rate hike calendar becomes clearer. This move sounded like a data dependent move but it wasn’t, it was a simple speculative pullback. The impact of this sudden weakness was quite impressive on the whole market, currencies or commodities quoted against the greenback have experienced really large intraday moves. To illustrate that, just take a look at gold prices which surged from a four and a half year low (at 1130$) to rise by more than 4 percent and reach 1178$, USD/JPY and EUR/USD resulting moves were less impressive though a correction was due. Last week the single currency broke a key support against the dollar, the 1.2487 long term support has been broken during mister Draghi’s press conference in which he sounded determined to fight for a comeback of inflation on the Eurozone. The down trending move that started this summer from a peak at 1.40 looks determined to reach 1.20 by the end of the year. This sustained move (just like the dollar move) is hurting other currencies; saying that I’m thinking about the Swissie which is getting dangerously close to the 1.20 floor against the euro pushing the SNB in a corner. The EUR/CHF touched a low at 1.2020 no later than today. According to Jordan and Danthine comments, the SNB sounded definitely ready to maintain the floor but with the upcoming Swiss “save our gold” referendum, the central bank might lose part of its independence thus questioning again if the floor will hold or break. Looking at the economic calendar, this week is going to be crucial for the euro, on Wednesday traders will be watching closely the industrial figures, on Thursday they will look at the monthly ECB report and to end the week on a big risk event, the third quarter preliminary EZ GDP figures will be released. It looks set to visit further lower territory down to around 1.1148 - 1.1121. Its corrective attempts should fail ahead of 1.1191 - 1.1208. Stop loss above 1.1261 zone. The Weekly Forex News Report aims to provide you with a close insight into the major currencies and to explain current market trends. Part of the Forex Fundamental analysis, the Weekly Forex News Report is the perfect tool to understand what’s going on behind the scenes. Is the dollar back on track? Time for a pullback ? Is EUR/USD due for a pullback? Weak NFP figures good excuse to send the dollar lower?